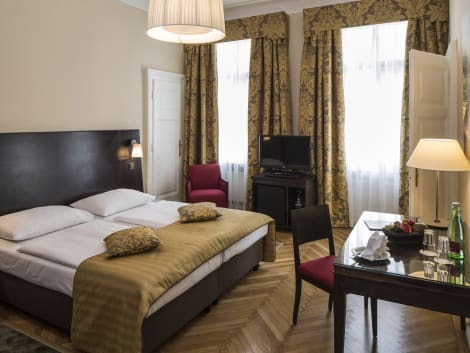 Providing accommodation in the centre of Vienna for 100 years, 4-star Hotel Astoria is well placed for visiting the beautiful city. The Hotel stands on the famous Karntnerstrasse shopping street, and is a short walk from the Opera and many restaurants and bars. Elegant rooms have a Viennese charm that runs throughout the hotel, and are fitted with free wi-fi, cable TV and a minibar. Enjoy a traditional Austrian breakfast and return to the bar after a day in the city for a well-deserved drink. 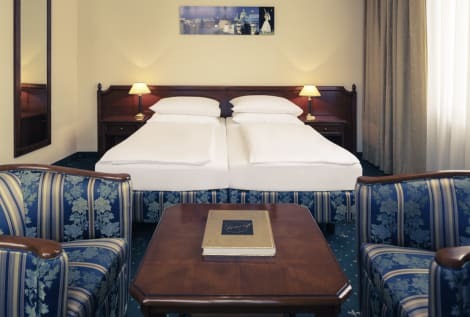 The Mercure Secession Wien is situated in the historical center of Vienna, in the Mariahilf district. Vienna's main tourist attractions (such as the Vienna State Opera House, St. Stephan's Cathedral and various museums) are just a short walk away. The hot el offers spacious, air-conditioned rooms and an indoor car park to make your stay as comfortable as possible. Book now online! A stay at Hotel Mailberger Hof places you in the heart of Vienna, within a 10-minute walk of Vienna State Opera and Spanish Riding School. This 4-star hotel is 0.4 mi (0.6 km) from St. Stephen's Cathedral and 0.5 mi (0.8 km) from Hofburg Imperial Palace. 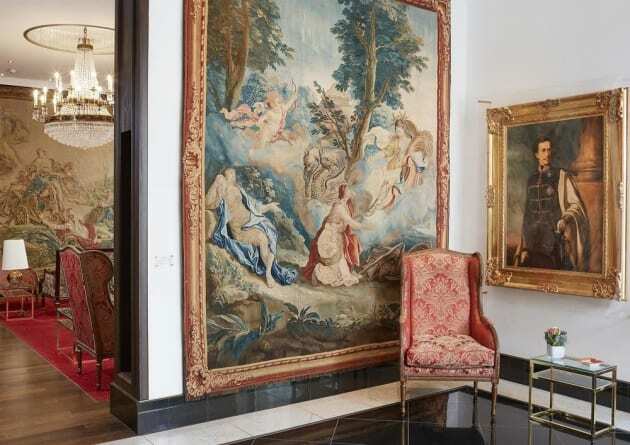 Found in Vienna’s bohemian Naschmarkt area, the family-owned Hotel Beethoven is just a short walk from the State Opera house. Chic, but inviting, the hotel is furnished in a contemporary style, inspired by local history and tradition, you can enjoy free hot drinks as well as Austrian pastries in the hotel’s Papageno Lounge, while the Mezzanine offers a buffet breakfast service (for an additional fee) in the mornings, and hosts salon concerts during the weekends. There is also a small 24-hour bistro serving local specialities in the hotel reception, as well as a concierge service. All rooms offer tea and coffee facilities, minibars, free wi-fi, slippers and private bathrooms. Featured amenities include express check-in, dry cleaning/laundry services, and multilingual staff. For a surcharge, guests may use a shuttle from the airport to the hotel (available 24 hours) and a train station pick-up service.